The United Health Foundation ranks Wyoming as 17th among states in terms of quality of health. This is affirmed by the state’s low prevalence of poverty among children and low levels of air pollution. From 2012 to 2013, physical inactivity decreased by more than 4% and binge-drinking habits were reduced by 11%. One of the factors that affected Wyoming’s health score was the percentage of smokers in the state. Smoking is commonplace in Wyoming. Nearly 22% of adults in Wyoming smoke tobacco habitually. This figure equals to 89,000 individuals. Smoking, especially if done excessively, can result in chronic ailments like cardiovascular disease and lung cancer. Tobacco-related diseases affect not only smokers but also the people in their proximity, such as family members. Senior citizens comprise 13% of Wyoming’s population. Although 13% is not a large figure, keep in mind that Wyoming is the least-populated state with less than 600,000 residents. 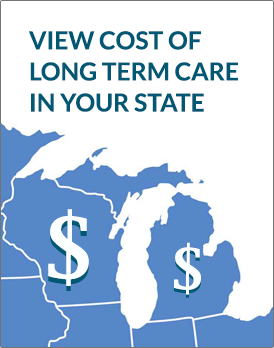 Below are the average daily cost* of long term care services in Wyoming. 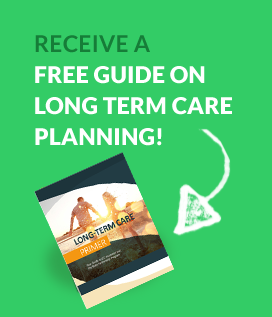 The Long Term Care Partnership was implemented in Wyoming on June 29, 2009. Mutual of Omaha’s MutualCare Solutions has been recognized as part of Wyoming’s Long Term Care Partnership Program since October 2013. In Wyoming, it is offered with 1 to 5% Compound – having a Buy Up option or not – for 10, 15, or 20 years as various inflation options. Meanwhile, Genworth provides LTC coverage for the Wyoming Department of Health employees. The insurance carrier is now offering the Privileged Choice Flex 2 option. This option has 4% Compound Inflation Protection, and underwriting categories such as Preferred and Select. Aside from Genworth and Mutual of Omaha, insurance carriers that sell long term care insurance policies – including those for Partnership – include John Hancock, Northwestern Mutual, and State Farm. In addition, American Family Life Assurance, Country Life, Lincoln Benefit Life, MetLife, Riversource Life, and United American Insurance are some of the insurers with an A+ rating that offer LTCI in Wyoming. For 2014, the Federally-facilitated Marketplace will be providing coverage to Wyoming residents. In fact, the Marketplace will determine the eligibility rules for Medicaid and the Complete Health Improvement Program (CHIP). Moreover, the state is working on its Medicaid/CHIP Application. Agencies like the Department of Labor will provide data that will become the basis for verifying eligibility with Medicaid and CHIP. This is due to recent modification with the qualification procedures. This branch is dedicated to the well-being, safety, and independent lifestyle of the state’s seniors. Cheyenne’s VA Services include Caregiver Support and Resources.